Counties across Florida are rushing to try and meet the state's Thursday deadline for the election recount. 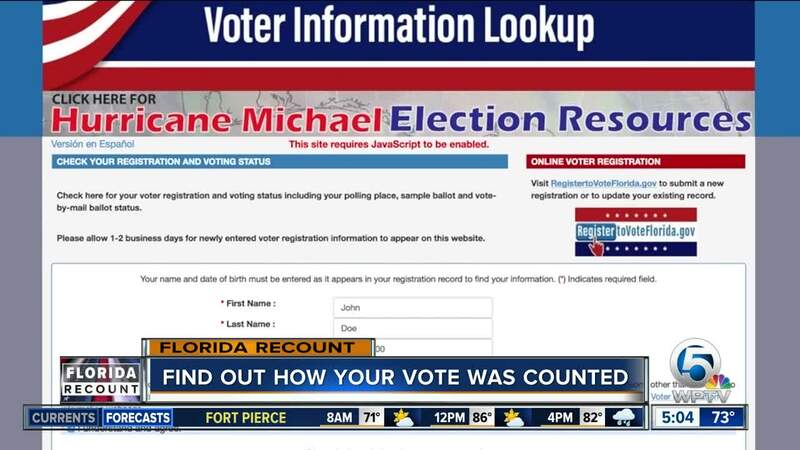 Registered voters can visit the state's Division of Elections website and put in their name and birth date. You will then see a link titled "Ballot and Precinct Information." 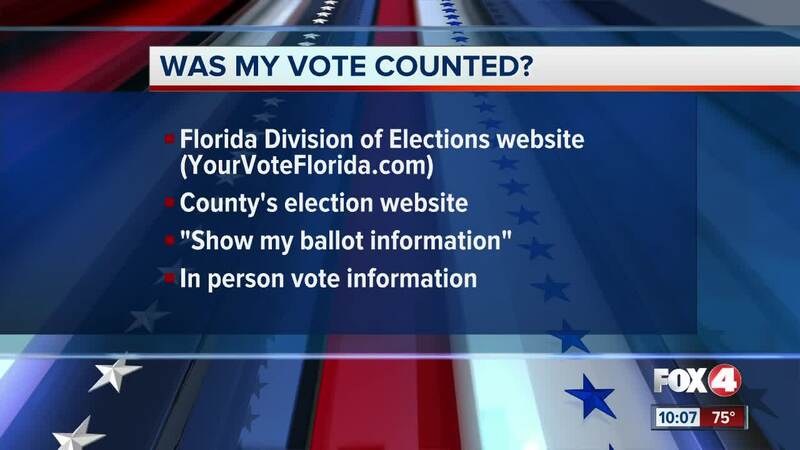 Once you click that link, it will take you to your county supervisor of elections website and display your mail ballot status and whether it’s been counted.